The video game community is receiving a lot of scrutiny at the moment. The big news recently has been whether the so-called ‘loot boxes’ should be classed as gambling or not. However, there is another controversy brewing, and the UK Gambling Commission has recently spoken out about this. The gambling commission recently released a report voicing its concerns that young children are being exposed to gambling thanks to certain video games. The UK Gambling Commission recently released a report titled Young People and Gambling 2017. In this report, it claims that around 11% of children aged 11-16 had participated in what is known as ‘skin betting’. 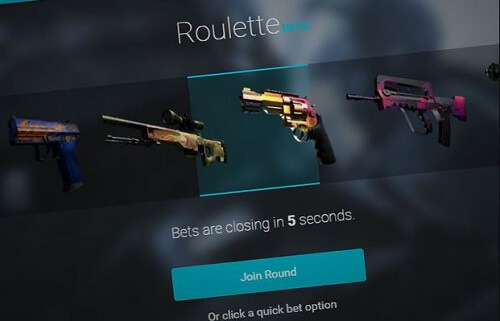 Skin betting is a practice where gamers can bet rare in-game items, such as visual designs for guns and knives. The main video game responsible for this is Counter-Strike: Global Offensive (CS: GO). Players are able to trade their rare in-game items with other players, but they can also purchase these for real money. These transactions are handled by third-party websites, but because these items have a real cash value, other sites have started allowing players to wager with their skins. Certain websites will allow players to play casino-style games, placing wagers with their items. If they win, they can cash out with even more valuable skins. The value of the items is determined by how rare they are. The fact is, this practice is well known in the gaming community, with the UK Gambling Commission reporting that 45% of children between the age of 11 and 16 being aware of the practice. The other issue is that many of these kids use their parent’s money, potentially running up huge bills. The biggest issue according to the UK Gambling Commission is that this type of practice exposes children to gambling at a very young age and normalises it. We’d certainly like to see this being regulated. While we love gambling, we believe it should only be done by adults who understand what they’re doing. Children should not be exposed to it or permitted to do it by video games.